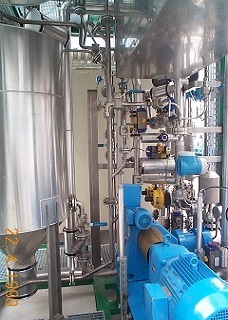 Processing of up to 500 t/year of solids. Fully automatic installation operating continuously (24 hours /7 days) with one operator. Elimination of 80% of the organics during the oxidation process and digestion of the remaining organics for methane production. Separation by press filters of the mineral residue for discharge deposit. 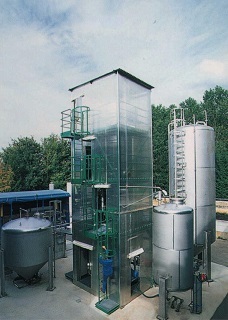 o Full engineering and construction of the installation, with sludge preparation, Wet Oxidation process, gas cleaning process, residue processing.